St. Martin's Griffin, 9780312361617, 272pp. Alice is making her daughter dinner when her mother Olivia, who left her at a day care center when she was four, appears at her door. Alice has learned almost nothing about Olivia, when suddenly Olivia dies, leaving Alice to sift through her belongings. As she pieces together her mother's life, Alice learns how a woman can become so desperate that she leaves her child-- and so courageous that she finds her again. 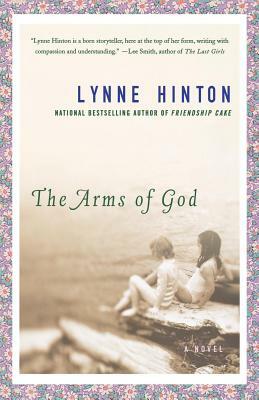 Not since her bestselling book The Friendship Cake has Hinton created characters who are so filled with heartache and fragile hope. LYNNE HINTON is a writer and journalist. She is the New York Times bestselling author of Friendship Cake, Hope Springs and Forever Friends (The Hope Springs Trilogy), among other books, and writes a monthly column for The Charlotte Observer. She lives in New Mexico, where serves as pastor of St. Paul’s United Church of Christ in New Mexico.